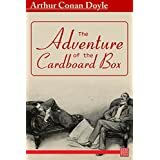 About the Book: "The Adventure of the Cardboard Box" is one of the 56 short Sherlock Holmes stories written by British author Sir Arthur Conan Doyle. It is the second of the twelve Memoirs of Sherlock Holmes in most British editions of the canon, and second of the eight stories from His Last Bow in most American versions. The story was first published in the Strand Magazine in 1892. 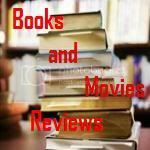 My Review: In this story, Miss Susan Cushing of Croydon receives a parcel in the post that contains two severed human ears packed in coarse salt. Inspector Lestrade of Scotland Yard suspects a prank by three medical students whom Miss Cushing was forced to evict because of their unruly behaviour. The parcel was sent from Belfast, the city of origin of one of the former boarders. Upon examining the parcel himself, Holmes is convinced that it is evidence of a serious crime. He reasons that a medical student with access to a dissection laboratory would likely use something other than plain salt to preserve human remains, and would be able to make a more precise cut than the roughly hacked ears suggest. The address on the package, roughly written and with a spelling correction, suggests to Holmes that the sender lacks education and is unfamiliar with Croydon. The knot in the string suggests to Holmes that they are looking for someone with sailing experience. Holmes considers the solution so simple that he asks Lestrade not to mention his name in connection with it. A few simple questions to Miss Cushing, a few observations, a cable to Liverpool, and a visit to Miss Cushing's sister Sarah (Holmes was denied admittance by the doctor because she was having a "brain fever") convince Holmes that the ears belong to Miss Cushing's other sister, Mary, and her extramarital lover, and that they have been murdered. He is convinced that Mary's estranged husband, Jim Browner, is the murderer, and that Browner had sent the cardboard box containing the ears to the Cushing's house in Croydon (addressing it merely to "S. Cushing"), not realizing that Sarah was no longer resident there. Browner, who is an unpleasant man when drunk, had meant to horrify Sarah (rather than Susan) because he blamed Sarah for causing the trouble that culminated in his murder of his wife and her lover. Browner is indeed a sailor, and Belfast was the first port where he had the chance to post the parcel. Lestrade, acting on Holmes's information, is waiting to arrest him when his ship reaches London. He confesses everything. He is presented with considerable sympathy, a simple man so tormented by guilt at his act that he would welcome being hanged. The real villain of the story - morally if not legally - is Sarah Cushing, who tried to seduce Browner herself and, when he rejected her advances, set out to wreck his marriage with her sister Mary. 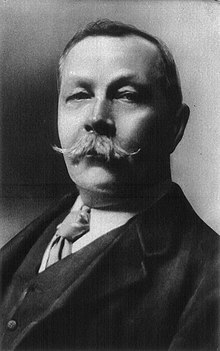 Another very well written story, I recommend this one to all readers that appreciate a good mystery, mainly featuring Sherlock Holmes and Dr. Watson.